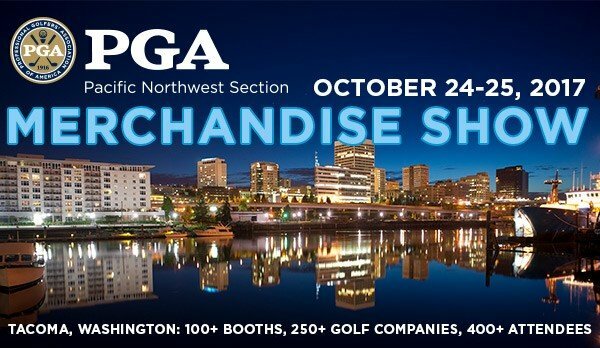 We would like to invite PNW PGA Professionals, golf shop buyers and golf industry representatives to participate in the 2017 PNW PGA Merchandise Show, being held October 24 – 25. We will be returning to the Greater Tacoma Convention Center. Our show last year was held at this facility and was a huge success. This is a great opportunity for our vendors to get one on-one-one face time with our buyers, shop owners and Professionals – all in one location. The show brings in a wide variety of new and returning clientele as well as an opportunity to meet new vendors. What a great way to educate the golf industry on your product! Vendor registration is now available for the discounted Early Bird price until August 15. There are two ways to register for a booth. You can sign up online or you can print off the hard copy of the contract, fill it out and fax it in. Visit the vendor registration page for forms and instructions. We are looking forward to another successful show this year with some really great networking opportunities. If you have any questions, please contact Angela Hinzpeter at 360-456-6496 or via email at ahinzpeter@pgahq.com.